GIS data are available in a compressed WinZip utility format. 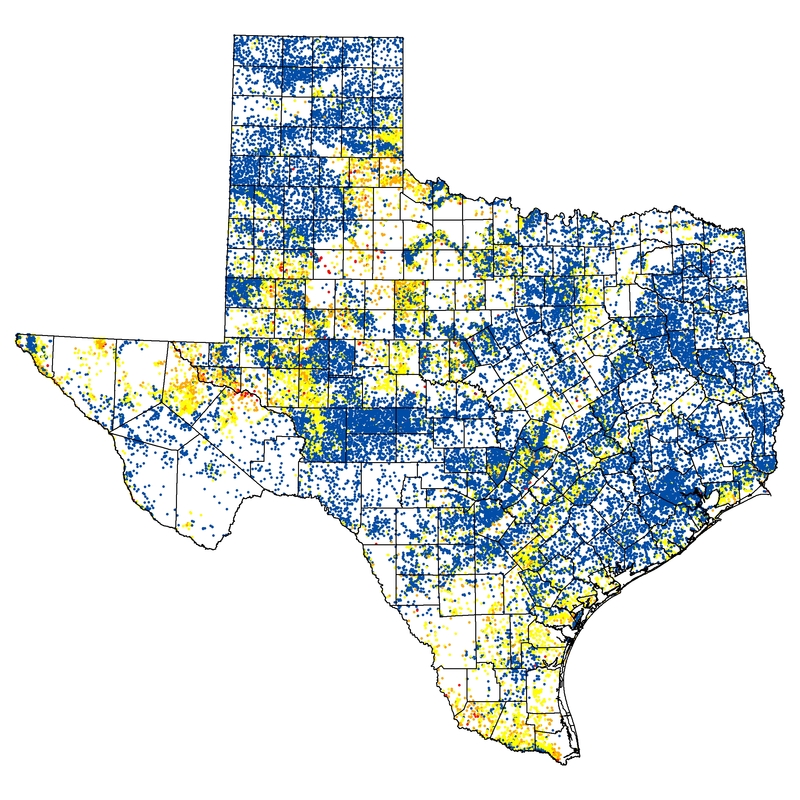 Point locations of the most recent water quality sample for Total Dissolved Solids (TDS) obtained from wells in the Texas Water Development Board Groundwater Database. The file contains the following fields: SWN, TDS, Year_Sampl, TDS_Range, TDS_RNG_Nu, Aquifer_Co, Well_Depth, Aquifer_NA, Latdd, Longdd. Geographic projection in decimal degrees, NAD83 horizontal datum. The data was assembled with queries in the Microsoft Access Groundwater Database. Well sites may be viewed and queried in an ArcIMS-based program: Water Data Interactive (WDI). This file was created in October 2011. More information is available in the metadata included with the files. 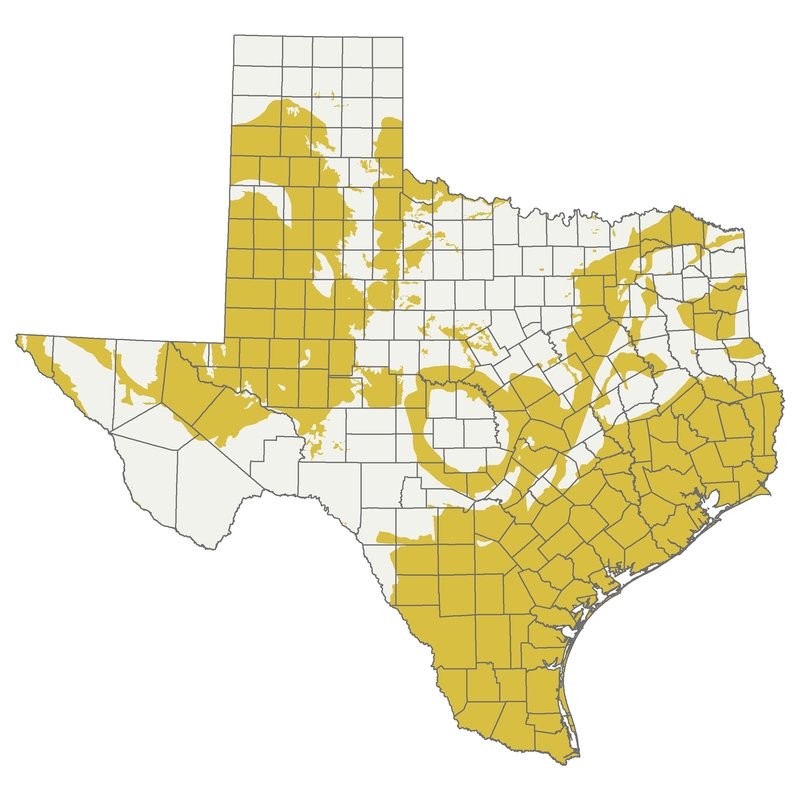 Polygons representing regions in Texas underlain by one or more aquifers where total dissolved solids are between 1,000 and 10,000 milligrams per liter (mg/L). 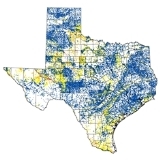 This data was produced from the results of the 2003 "Brackish Groundwater Manual for Texas Regional Water Planning Groups" report by LBG-Guyton Associates for the Texas Water Development Board. More information is available in the metadata included with the files. If you have any questions, please contact Andrea Croskrey at 512-463-2865 or John Meyer at 512-463-8010. Except where noted, all of the information provided is believed to be accurate and reliable; however, TWDB assumes no responsibility for any errors. Further, TWDB assumes no responsibility for the use of the information provided. PLEASE NOTE that users of these data are responsible for checking the accuracy, completeness, currency and/or suitability of all information themselves. TWDB makes no guarantees or warranties as to the accuracy, completeness, currency, or suitability of the information provided via the BRACS Database. TWDB specifically disclaims any and all liability for any claims or damages that may result from providing BRACS data or the information it contains.